Cape Town, March 22, 2019 -- Zambia's minister of information and broadcasting should grant an appeal requested by the privately owned Prime TV broadcaster and allow the station back on air after the country's media regulator suspended its license for 30 days for alleged unprofessionalism, the Committee to Protect Journalists said today. The Independent Broadcasting Authority, the government agency that oversees the country's media, suspended Prime TV's license from March 4 to April 2 for allegedly featuring "unbalanced coverage, opinionated news, material likely to incite violence and use of derogatory language," particularly in its reporting on recent by-elections in Shesheke district, according to a statement from the authority. Prime TV was ordered to conduct in-house trainings on media ethics during its suspension, according to the statement. The authority's ruling came in response to a complaint lodged by the ruling Patriotic Front party, according to the African press freedom group AFEX. On March 5, Prime TV filed an appeal with Information and Broadcasting Minister Dora Siliya, the station's director, Gerald Shawa, told CPJ. Shawa told CPJ on March 18 that he had not yet received a response to his request. "The Independent Broadcasting Authority should not suspend news organizations simply because they report critically and disagree with the ruling political party," said CPJ Africa Program Coordinator Angela Quintal. "The minister of information and broadcasting must do the right thing and uphold Prime TV's appeal so that it is able to broadcast immediately." The suspension came amid increased tensions between Prime TV and the Patriotic Front. The broadcaster's offices were raided by police in November 2018, after it aired footage that authorities alleged was defamatory to the president, according to the Media Institute of Southern Africa, a regional press freedom group. In late January, the party's secretary-general, Davies Mwila, announced that Prime TV journalists were barred from covering any Patriotic Front activities, according to AFEX. 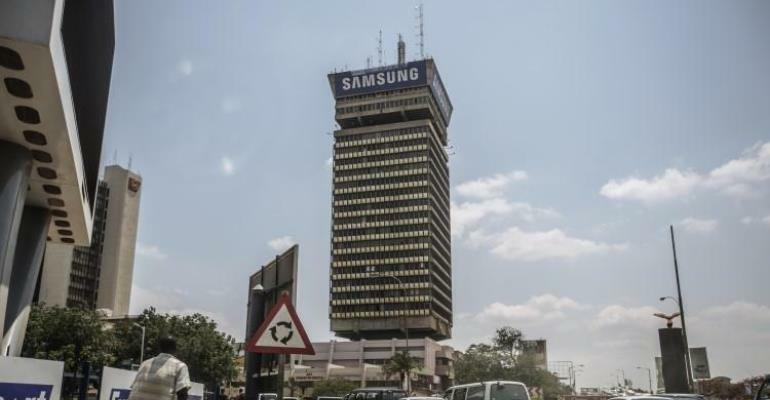 On February 13, the party's deputy media director, Antonio Mwanza, said the broadcaster "must be closed down," and said the Independent Broadcasting Authority had been "directed to revoke [Prime TV's] license," AFEX reported. CPJ's phone calls to the offices of Mwila and Mwanza, and emails to Mwila, did not receive a response. In the appeal letter, seen by CPJ, Shawa asked the minister to reduce the penalty to a warning. Prime TV was previously reprimanded by authorities in April 2018, but was able to continue broadcasting, according to the Independent Broadcasting Authority statement. CPJ's phone calls to Siliya went unanswered. The Independent Broadcasting Authority's director-general and board secretary, Josephine Mapoma, did not answer calls or respond to CPJ's messages on Whatsapp. Chando Kasolo, the Independent Broadcasting Authority board chair and permanent secretary for information and broadcasting services, told CPJ via WhatsApp, "the ban stays unless and until revoked by the minister [Siliya]." He added that CPJ should "keep out of this as foreign 'interference' is not viewed kindly here." Kasolo was quoted by independent news website Zambia Reports as saying there was no political interference in the decision to suspend Prime TV, and that he would have resigned if that were the case. According to the Independent Broadcasting Authority statement, the authority also suspended Valley FM Radio of Nyimba for 60 days for "unprofessional conduct" and revoked the licenses of two other radio broadcasters due to nonpayment of licensing fees. The authority also granted 22 new radio broadcast licenses on March 4, according to the statement. Journalists have been jailed and harassed in Zambia over recent years, and numerous media organizations suspended by national authorities, according to CPJ's reporting.